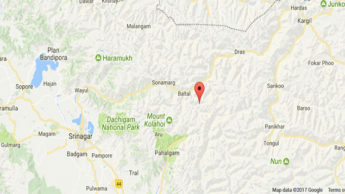 SAME DAY HELICOPTER TICKETS + HOTEL + MEALS + TRANSPORT + YATRA PERMITS+ ALL TAX. SAME DAY HELICOPTER TICKETS + SIGHTSEEING + HOTEL + MEALS + TRANSPORT + YATRA PERMITS+ ALL TAX. 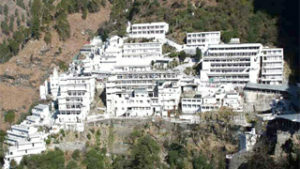 AMARNATH JI + VAISHNO DEVI + HOTEL + MEALS + TRANSPORT + YATRA PERMITS+ ALL TAX. Amarnath Yatra 2019, that carries a special place in the Hindu mythology, is the journey to the heavenly abode of Lord Shiva. Precisely, its better to call it the ice statue of the Lord Shiva that dignifies the most sacred place that lets you attain nirvana from all your sins. Devotee Hindus believe that one can attain nirvana or say moksha only after crossing several of hardships and great sufferings. The pilgrimage to Amarnath Yatra 2019 is the arduous trek that lets you follow narrow and steep mountain paths. 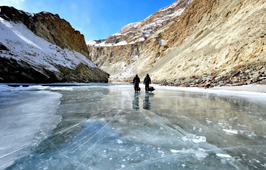 This suffer from many hurdles along the way, to reach the place where sacred ice Linga of Lord Shiva is locate. 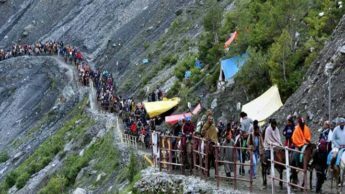 Every year, thousands of pilgrims undertake this tough journey to reach Amarnath with Advance booking of Amarnath Yatra Package. Amarnath Cave is located at the end of Lidder valley at distance of 141 kms from Srinagar and at an approximate height of 3888 metres. 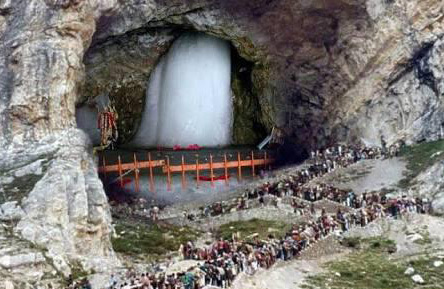 Pilgrims takes the Amarnath Yatra package 2019 with the belief that Lord Shiva appeared in the form of ice. We believed that there are 12 Jyotirlingas around the country with special significance as explain in the Hindu mythology. Though every Jyotirlinga had its special importance of origin and the great Lord Shiva resides in only some of them. 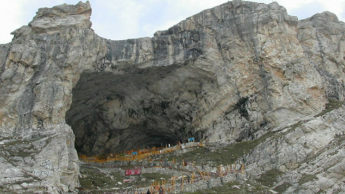 Amarnath is the place that carries a distinctive and above the role position among all the Jyotirlingas. This place is famous for the story narration made by Lord Shiva to Parvati regarding the concept of creation. The Amar Katha and immortality secrets. 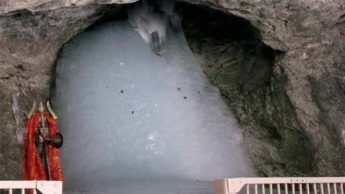 Amarnath cave is the place wherein Lord Shiva had dictated the story of creation and immortality secrets to Maa Parvati. The story goes with the question raised by Mata Parvati to Lord Shiva as to why he wears the beads of heads (Mund Mala). Lord replied whenever you are born and I add on one more head in my beads. Then Mata Parvati insisted on telling the secret of immortal state enjoyed by the Lord. The lord replies that all this happens with the reason of Amar Katha. God choose Amarnath Cave to tell the secrets of immortality to Mata Parvati. On the execution of reaching the place, he left out all his personal belongings. such as he left his Bull Nandi at Pahalgam, his moon at Chandanwari, snakes at the banks of Sheshnag and his son Ganesha at the core of Mahagunas Parvat. He has also discarded the five elements i.e. Earth, Sky, Fire, Water and air behind. People believe that as a symbol of sacrifice, both Lord Shiva and Mata Parvati had Tandav Dance. Lord Shiva entered the holy cave with Mata Parvati and takes on his Samadhi on the deer skin and concentrate. He just want to ensure that no other living creature can hear the immortal story. Creation of Rudra named Kalagni is done. And he order him to extend fire all around the cave for security reasons. By chance, an egg was left out in the cave from which a pair of pigeon had also heard the story of immortality. Today also, people believe that its a good sigh to see a pair of pigeons around the cave. Pilgrims believed that the Amarnath Yatra 2019 is difficult to accomplish and if you want to attain freedom from the cycle of birth and death, you need Amarnath Yatra Booking for 2019 to undertake several forms of sacrifices and labor. 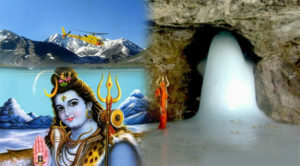 The Amarnath yatra packages will let you attain the blessings of Lord Shiva. 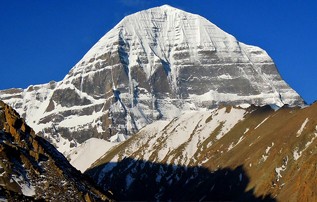 The Yatra begins every year in the month of Shravan (July-August). 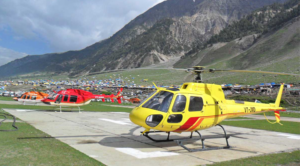 We offer best Package for Amarnath Yatra by Helicopter & by road and Starting from Various Location Such As: Delhi, Mumbai, Hyderabad, Bangalore, Ahmedabad, Kolkata and Many more places. We are very happy with Global Connect Hospitality to complete our Tour Amarnath Yatra Amazing and Successfully. Thanks Global Connect Hospitality to providing best tour for Amarnath Yatra. We reach at home safe and successful also get very reliable yatra, Thanks a lot. Amarnath Yatra 2019, that carries a special place in the Hindu mythology, is the journey to the heavenly abode of Lord Shiva. Precisely, its better to call it the ice statue of the Lord Shiva that dignifies the most sacred place that lets you attain nirvana from all your sins. Devotee Hindus believe that one can attain nirvana or say moksha only after crossing several of hardships and great sufferings. 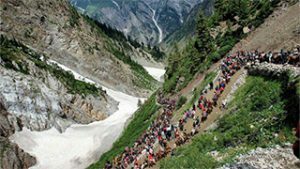 The pilgrimage to Amarnath Yatra 2019 is the arduous trek that lets you follow narrow and steep mountain paths. This suffer from many hurdles along the way, to reach the place where sacred ice Linga of Lord Shiva is locate.